As 2019 begins, there are many more Studio 180 tools that will make your quilting life a breeze. If one of your 2019 goals is to learn new techniques, these classes are PERFECT !! We will be offering a monthly class on a variety of Studio 180 tools that will make your quilt blocks come out perfectly as well as seeing the endless opportunities for new block designs. This monthly class will give you a great opportunity to learn new techniques and strive to work on that bucket list of patterns you love but haven’t jumped in to yet. 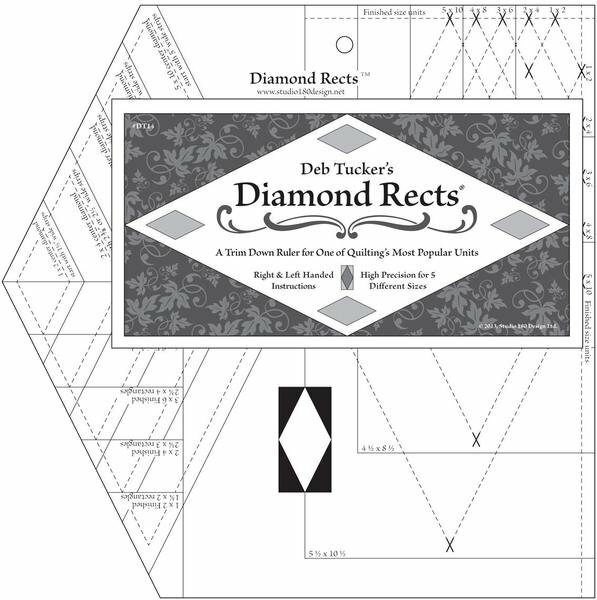 The first class is scheduled for Wednesday, February 13 from 1-4 pm and will feature the Diamond Rects tool. This will give you the technique to create a beautiful Stormy Stars quilt by Deb Tucker of Studio 180.